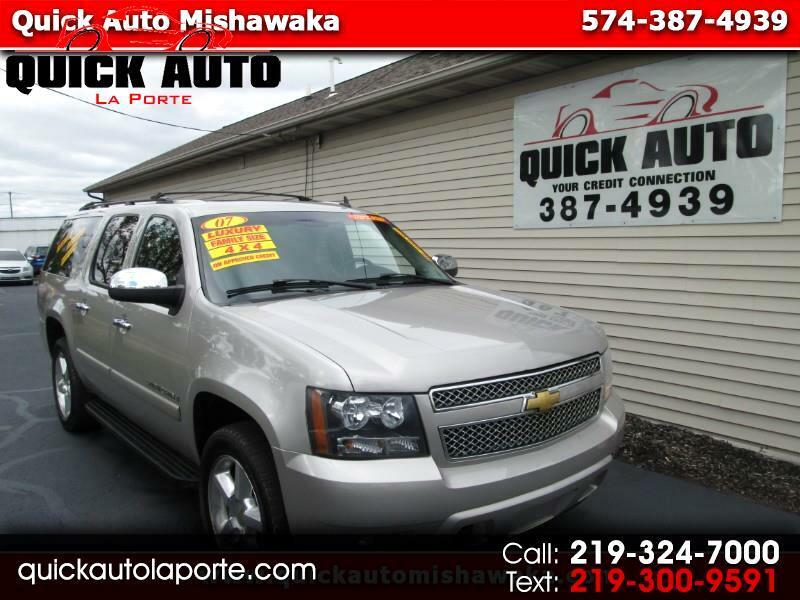 Visit Quick Auto Laporte online at quickautolaporte.com to see more pictures of this vehicle or call us at 219-324-7000 today to schedule your test drive. All payment and down payment amounts are subject to credit approval. Availability of Products and Services. The Website contains information about our products and promotional programs. Our products and services are not available in all jurisdictions or to every individual. Please check with your dealer for information regarding the products and services available and that you qualify for. Errors and Negligent Use. We are not responsible for errors or negligent use of the services offered by the Website, including input errors, negligent handling or sharing of passwords, and leaving a computer unattended while accessing the Online Credit Application or your Online Account Services as defined in the Online Account Services Agreement. Accuracy of Website. While we make all reasonable efforts to ensure that all material on the Website is correct, accuracy cannot be guaranteed. Links. The Website may contain hypertext links to other websites that are completely independent of the Website. We do not assume responsibility as to the accuracy, completeness, or authenticity of the information presented on any website accessed via such a link. A link to another entity's website should not be construed as our endorsement of such entity's website, products, or services. Information Only. All of the content presented on the Website is for information purposes only and in no way creates any fiduciary relationship between us; you should seek appropriate tax, financial, or legal advice. No content on the Website constitutes an offer to buy or sell vehicles, nor does it constitute an offer of a direct loan, lease or other financing arrangement. All finance and insurance programs described on the Website are available to qualified applicants only through us and participating lenders. All programs are subject to change or termination at any time. Final terms of purchase or lease are set by you and your finance company. Copyright. The information contained on the Website is protected by copyright and may not be reproduced without our written consent.